A tweet celebrating Cardi B's accomplishment as the first solo female rap artist to win the Grammy for best rap album was met with the following tweet from BET's Twitter account. “Meanwhile, Nicki Minaj is being dragged by her lacefront." That prompted Minaj to announce that she and the rest of Young Money would pull out of this year’s BET Awards and BET Experience, where she was the headliner. BET deleted the tweet soon after and tweeted an apology. 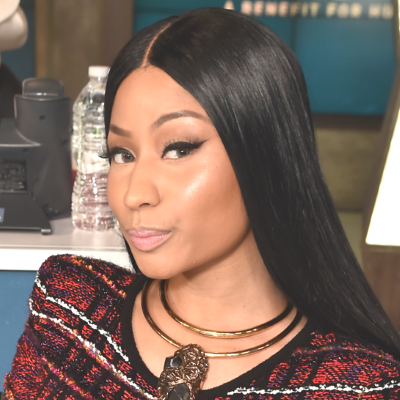 “BET loves Nicki Minaj," BET said in the statement. "We have supported her from the very beginning of her career and will continue to do so moving forward. Nicki has paved the way for so many performers and has solidified her place as one of the most powerful figures in the music industry. Unfortunately, the respect we have for Nicki was violated by this post that should never have been written. The post does not reflect how we feel about Nicki. And further does not reflect our company values." Nicki Minaj's MTV VMAs performance will be broadcast live from a mysterious "iconic New York location"